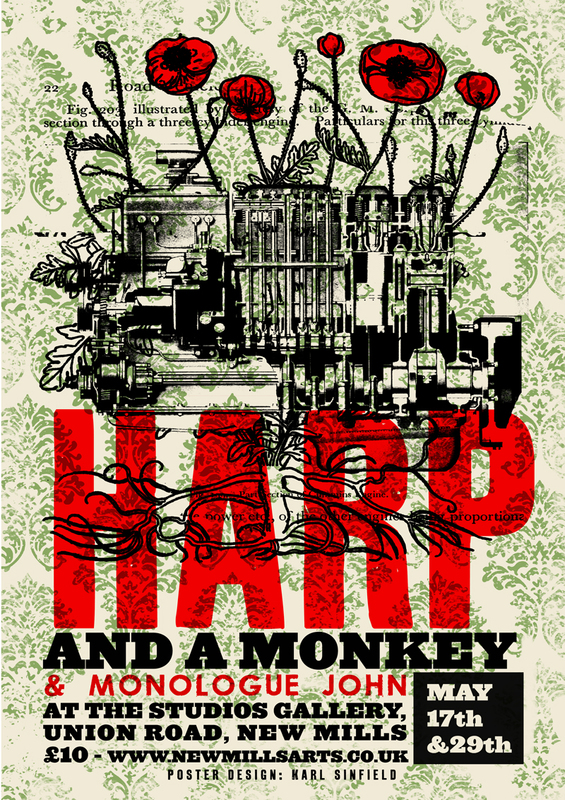 Gig poster for Harp and a Monkey. A great Northern alt-folk band, specialising in stories of the working class struggles of war, work, picnics, play and everything in between. Limited edition screen prints available soon from the shop. Thanks to everyone who has bought them from the two gigs, and thanks also to the band for their ringing endorsement of my design.